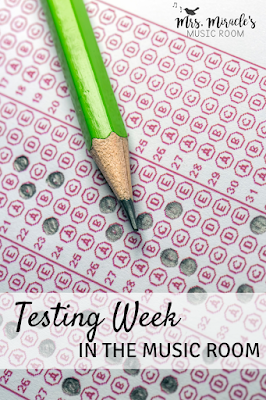 Testing, testing, testing...there is SO much testing going on right now! 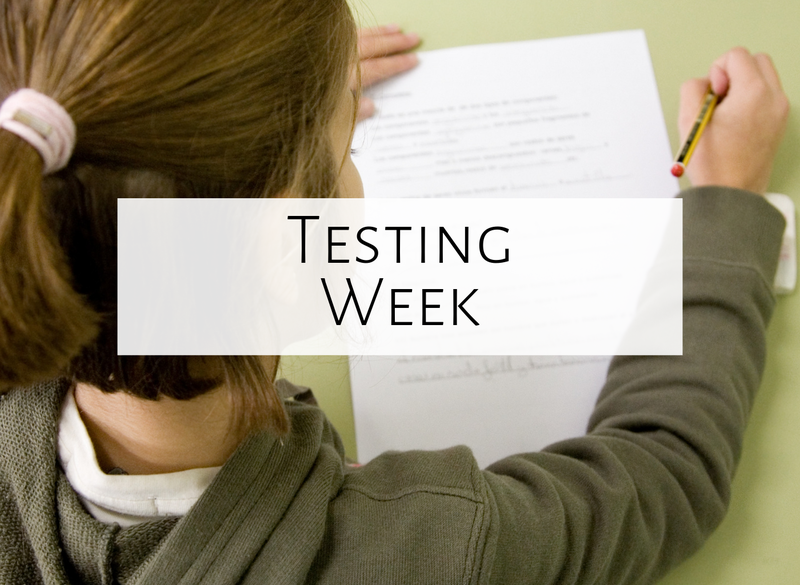 How can we as music teachers make sure that students are engaged and excited when they've already been sitting for hours, taking a test? Here are some ideas that have worked with my kids. During testing days, I like to make sure kids get even more relaxation, so I'll shift the balance of concentration/ relaxation and throw in another game or two, or let a game go longer than I would otherwise. They've already been concentrating SO much, so I'm okay giving up a little bit of focused work so they can get out their wiggles. Along those lines, I will also throw in a movement activity, especially if I see they really need one. One of my favorites for lower elementary is the statues game, which is like freeze dance, but students make a statue when they freeze. You can download the free visuals on Artie Almeida's website by clicking here. Another great way to get students moving is to put on a recording with a steady beat, and have them follow your beat motions. For example, students could listen to "Root Beer Rag" by Billy Joel, and you could tap your head for 8 beats, tap your shoulder for 8 beats, twist for 8 beats, dab for 8 beats...whatever! And then, students follow you. Halfway through the song, I invite student volunteers to lead the beat. 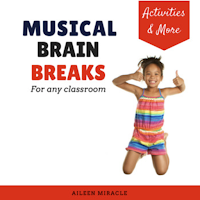 It's great for movement improvisation AND for getting students moving! If the weather permits, you could take students aside...even if only for 15 minutes, to have them play singing games. Whether you play "Skin and Bones" (find the song and game here) and have the students hide behind trees, or play "Big Fat Biscuit," the games are so much more fun outside. And let's face it, kids need the outside time after sitting inside, testing! During testing days, if a kid makes a request for a certain game or activity, I try to fit it in. Whether it be poison (which you can find out more about in this video) or just one of their favorite singing games, if it's something that I could adapt my lesson and fit in, I will. You could also save reward days, like the one I wrote about in this blog post, for testing week(s). 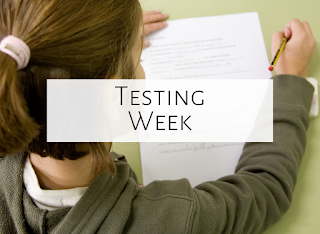 On days that students have tested, they might not be as focused. They might be wiggly and giggly because they've been sitting still for so long and need to expend some energy. We as teachers could be frustrated...or we could be understanding. Wouldn't you be unfocused, wiggly, and maybe even giggly if you'd be sitting still for potentially more than two hours taking a difficult test? 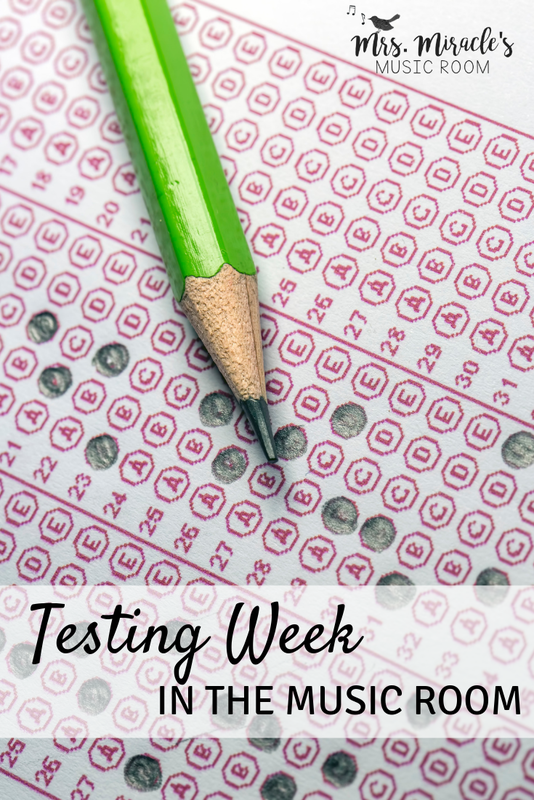 I hope this is helpful to you during your testing week! Do you have any other suggestions? Feel free to comment below, and happy teaching!